After six intense days of train journey finally I arrive to my destination. 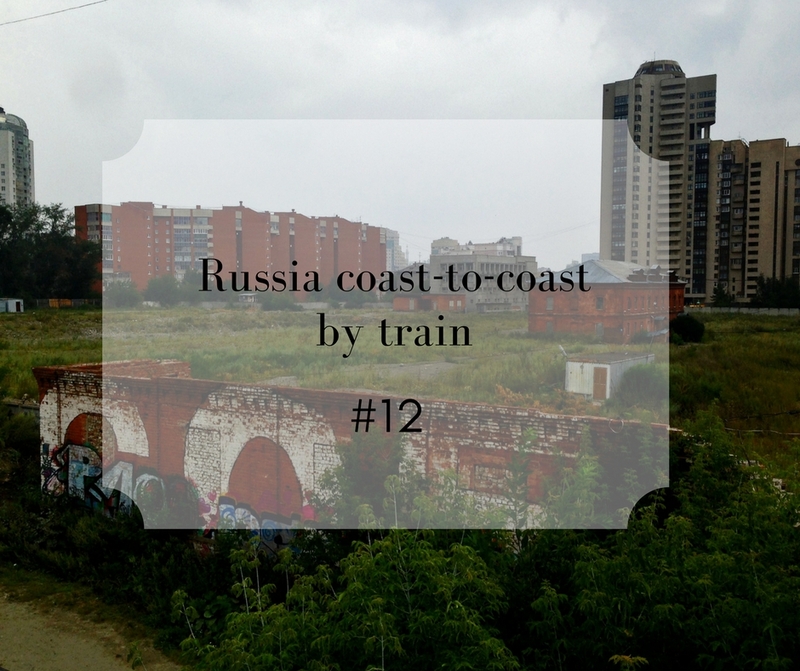 I go down at the Ekaterinburg train station in a cloudy morning when the city still sleeps beneath the milky sky and a cool wind ruffles the surface of the river. The city is the capital of the Urals, the mountain range on the two continents: that imaginary border which divides the European Russia from the Asian one. 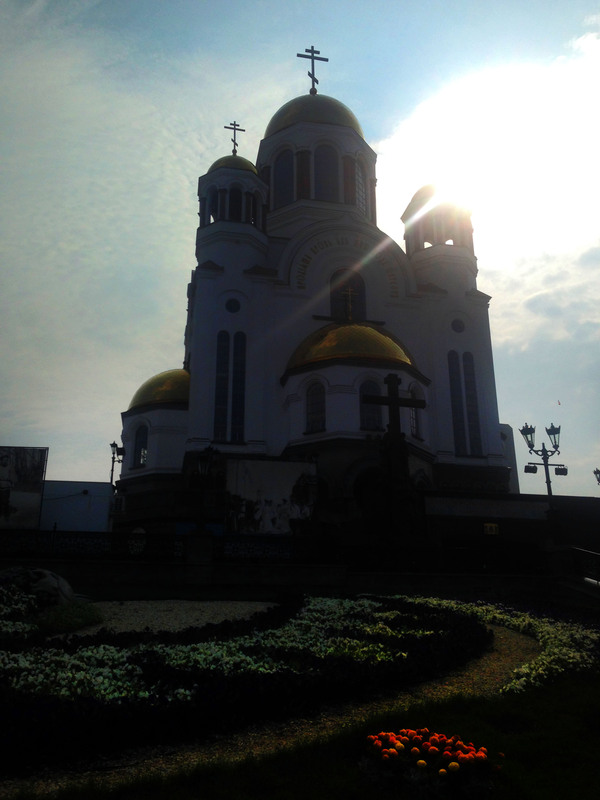 Ekaterinburg, founded during the reign of Peter the Great, owes its flowering to the underground wealth of the region. 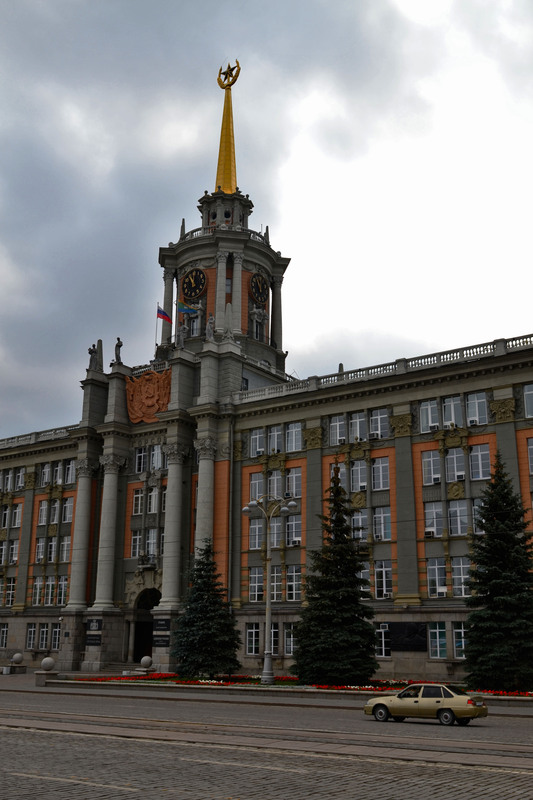 The rich iron ore, coal and copper gemstones played a decisive role in Ekaterinburg development which today is still an important industrial and in engineering research centre. 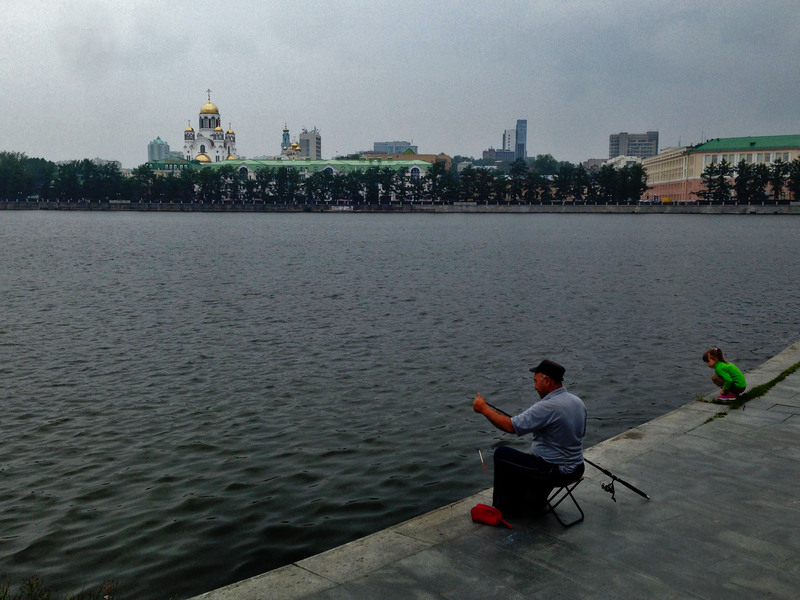 It is here, in this city that is a mix of elegant Russian Soviet modernity and sparkling skyscrapers that coexist in harmony without arguing, that the Romanov, the last tzar dynasty, were murdered. The epic story of Nicholas II and his family begins in March 1, 1917 when, after the February Revolution, he was forced to abdicate. Only one year earlier the Tsar had inaugurated the Trans-Siberian railway, an engineering feat that had cost the Empire immense sacrifices. The irony is that through that very rail road, which had become the new Russian glory, Nicholas II and his family, the Tzarina and the five children (four beautiful princesses Olga, Tatiana, Maria and Anastasia and the young Aleksey) were transferred to Tobolsk, three days by train from St. Peters burg. Get away from a world of luxury and power and relegated to a remote Siberian town, the family ended up to stay in a house that had nothing to do with the standard of the palaces of St. Peters burg, and the four sisters, daughters of the richest imperial house in the world, found themselves sharing a single bed for the night. Thus began the long captivity of the Tsar that forced the royal family to an ordinary and boring life. When the country was plunged into terrible civil war between the Bolsheviks and anticommunist, called “Whites”, the Communist forces, terrified by the possibility that their opponents could save the Tsar, moved the royal family to Ekaterinburg. Here they were locked in the requisitioned house of a local engineer and it was denied the opportunity to look out the windows, whose windows were even tinted. In the basement of this same house the night of July 16, 1918 the royal family members and some of the servants were killed, murdered at the behest of the Bolshevik leaders. The bodies were dumped in an abandoned mine in the forest. Thus the world of the tsars vanished forever in the violence of the Revolution. On the site where the Tsar family was assassinated a splendid church in Byzantine style stands today, in Romanov honour. Its golden domes glitter in the rays of a timid sun that in the late afternoon peeps through the clouds. I reach the main road, a wide boulevard lined with massive buildings, souvenirs of the Soviet era which features the inevitable Lenin statue. The Father of the Revolution stands frowning on a grey stone pedestal right next to the Europa Shopping Centre and toe open hand, as if in invitation to the pedestrian to across the road. I follow his instructions and I go to the pedestrian street that is a succession of shops, cinemas, restaurants and any other modern temple of consumerism. A long street where you’ll be spoiled for choice on how to spend your money. Elegant shop windows, anorexic mannequins with their anonymous serious faces, souvenirs and toys made in China, fast food, banks. What remains after so much bloodshed in the name of revolutions and ideologies are the Lenin statues and other faded symbols of Soviet cultural mythologies, that stand as forgotten souvenirs in the carefree ocean of triumphant consumerist fables.